Watch the video walk-through. I had lots of coffee before filming! 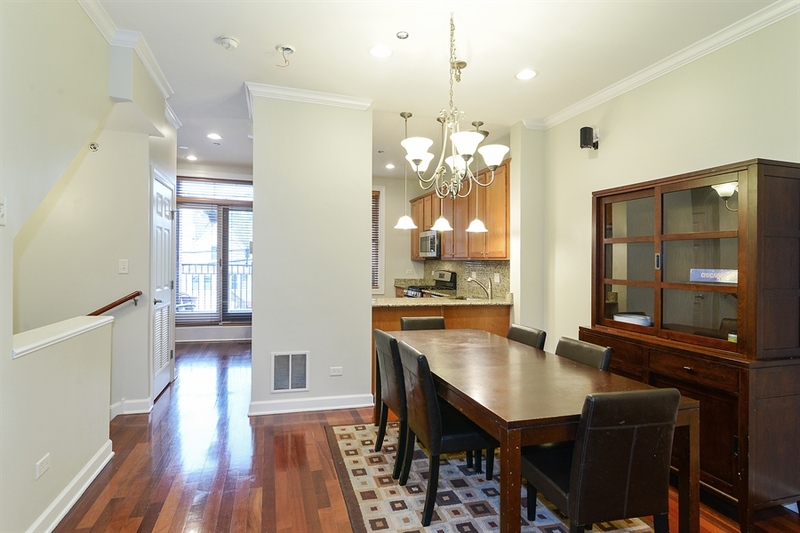 The median price of a Lincoln Square house is approaching $700,000 and in most cases it will need work... and won't get you a master bathroom. If you don't want all the old house maintenance try a spacious newer construction townhome with modern features near Giddings Plaza. 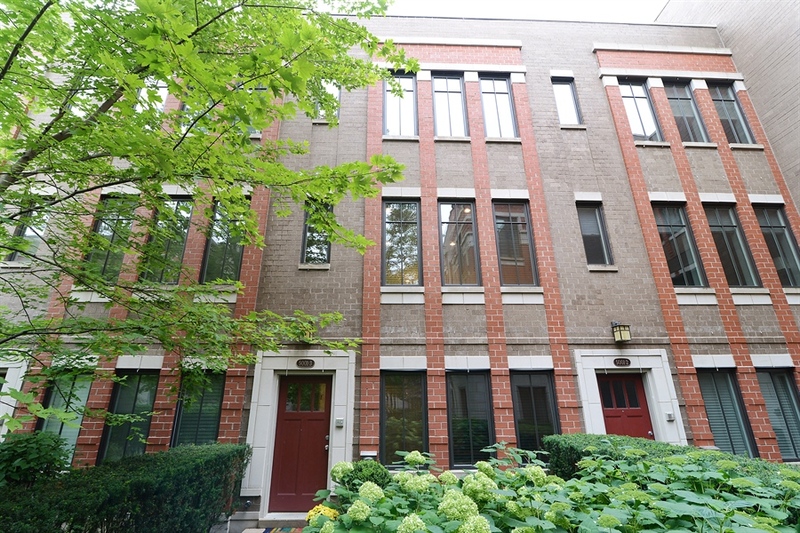 Stately townhome in the most elaborately landscaped courtyard in Lincoln Square. Unit 3 is well positioned with open views over the courtyard offering more southern exposure and light. 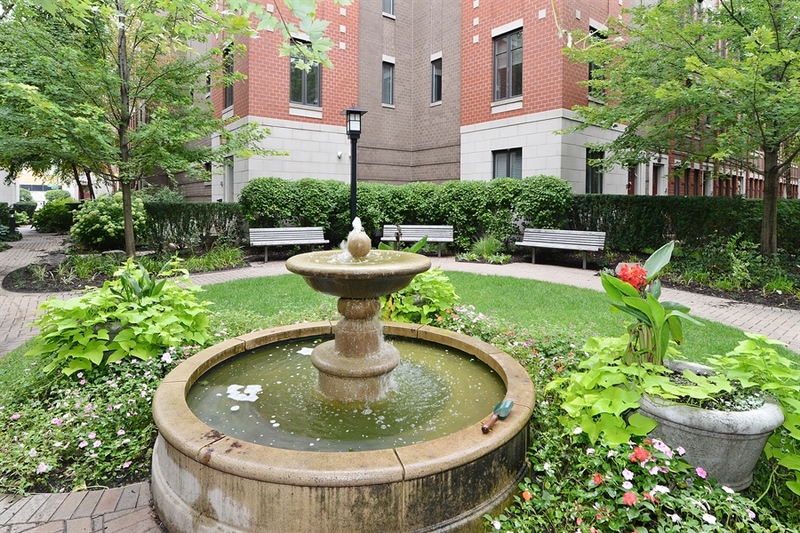 The sounds of the peaceful fountain can be heard from your unit. 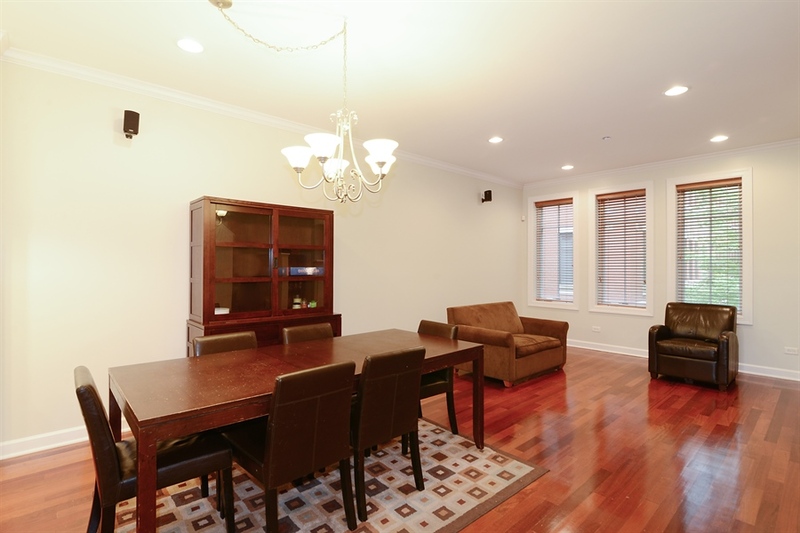 Live large in this stately Lincoln Square town home. Newer construction three bedrooms, family room, two full and two half-baths home w/ attached two car garage. 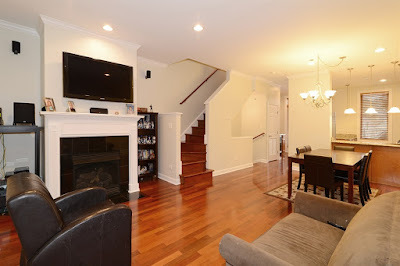 Wired for sound with intercom, fireplace, hardwood floors, sprinkler system, security, two decks, in-unit washer/ dryer. 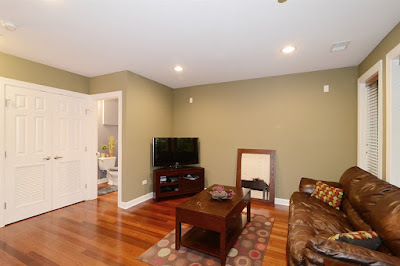 Main floor entry with large coat closet and space for foyer table. Flexible space works as family room, den, or office. 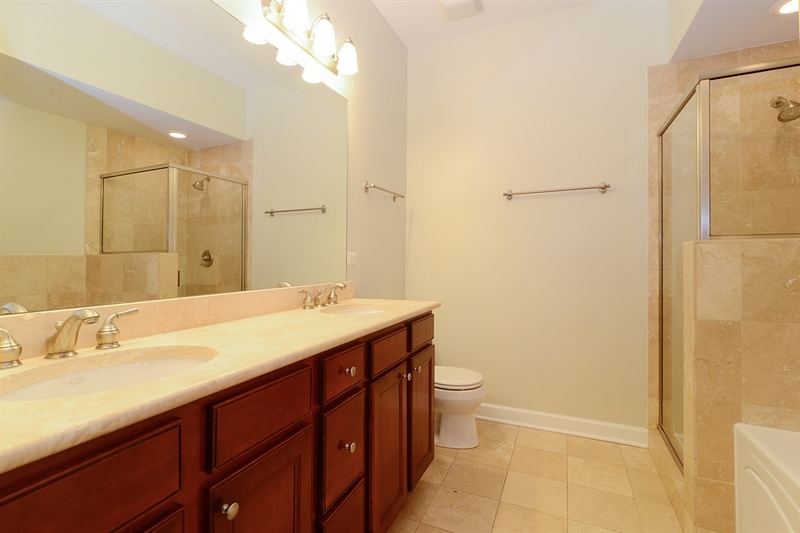 Features a half-bath and access to the two car attached garage. Main floor family room with half-bath, large closet and attached garage entry. 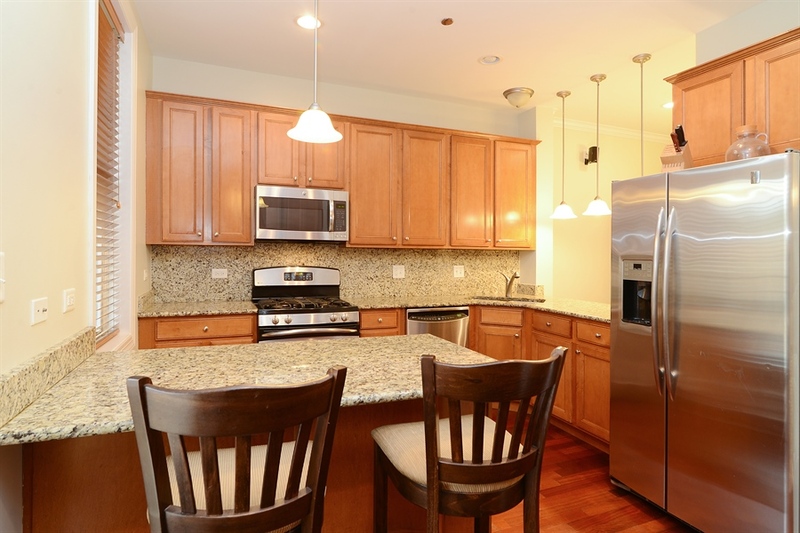 Gather around the island in the fully equipped kitchen with break fast bar overlooking the living/ dining area. 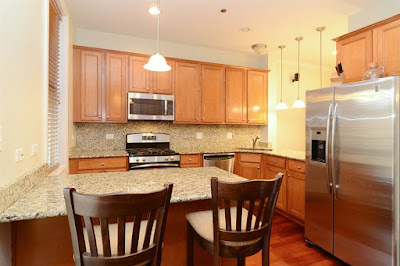 Kitchen has been upgraded with beverage refrigerator and pantry cabinets. A deck off the kitchen is great for grilling. Open floor plan and high ceilings offer a large space for entertaining. The living/ dining area features gas fireplace, surround sound, south exposure and in house intercom. 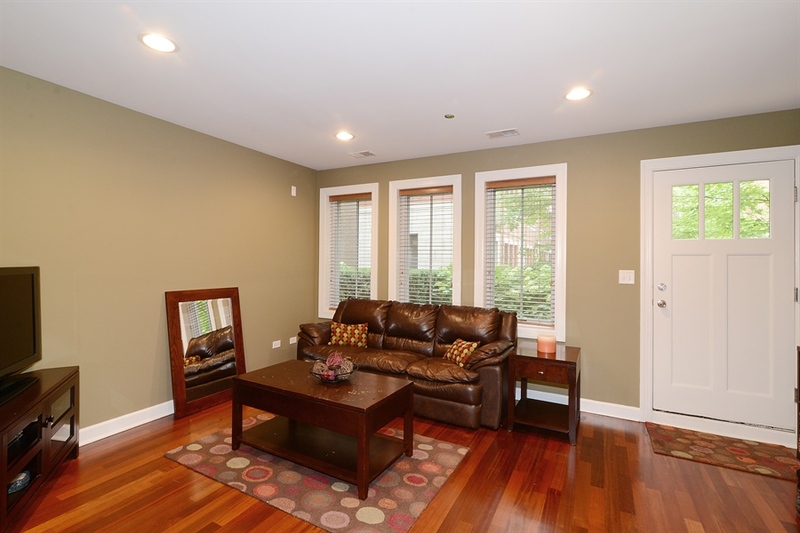 Plenty of room for a large dining table and sideboard. 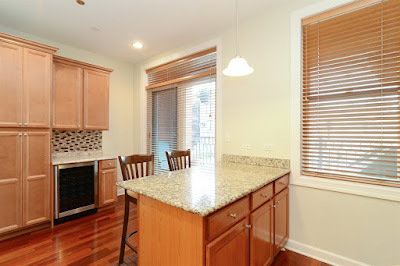 Great combo of open space and a little separation of kitchen to "hide the mess". 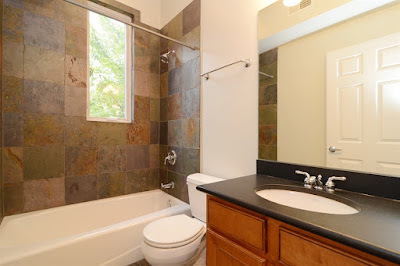 Full guest bathroom with slate tile finish. The "penthouse room" and walk-out terrace on the top floor offers great space to meet your individual lifestyle. Use as third bedroom, yoga studio, art studio, family room, office or build out two rooms! 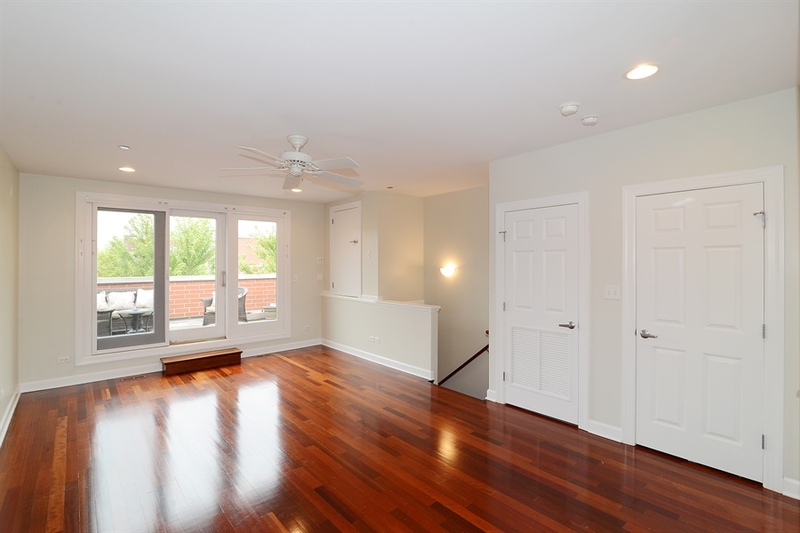 Penthouse level features a half-bath, separate HVAC, walk-out terrace and great light! 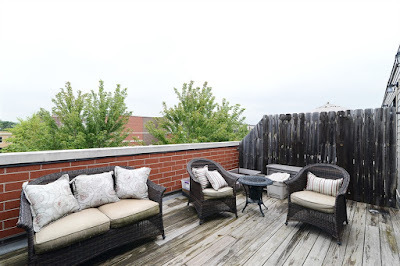 Top floor walk-out terrace is spacious with eye-catching tree top views. 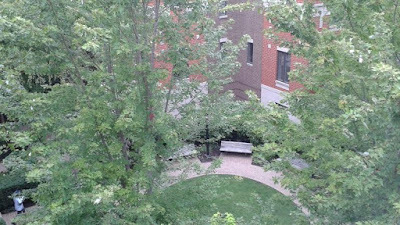 Looking out over the courtyard from the top floor terrace. 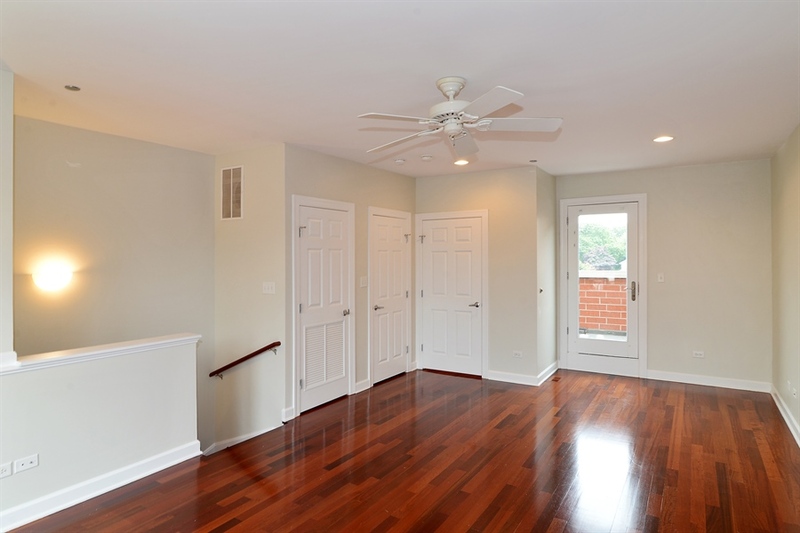 The master bedroom has east exposure for great morning light and two (2) 7x3 walk-in closets. En-suite master bathroom, marble tile, stone counter-tops, separate shower and jet tub. Warm kitchen, island, beverage center, abundant pantry cabinets and deck. 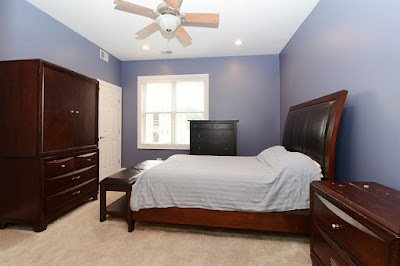 Master suite with two 7'x3' walk-in closets and east light. Master bath features double vanity, separate shower and jet tub. 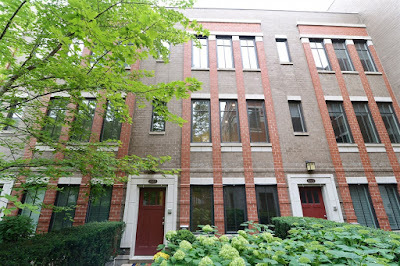 Huge sun filled penthouse level used as third bedroom with 1/2 bath and huge terrace. 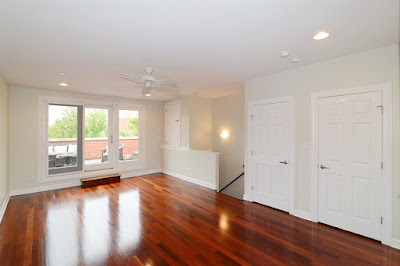 Use as family room, yoga, art studio or build out two rooms! 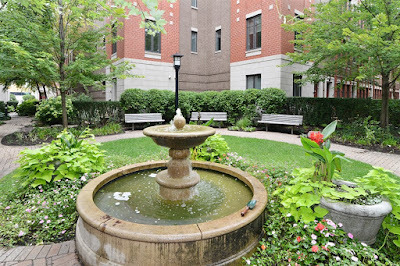 Lush landscaped courtyard, common party room and common exercise room. Walk to all of Lincoln Square fests, bars and restaurants (hot-spots Elizabeth, Miku Sushi and Gather) Giddings Plaza, Western Brown Line station, close to Ravenswood Metra, Marianos grocery, LA Fitness, LSAC fitness, Winnemac Park, Welles Park, everything! Fee simple ownership with a home-owners association. Unit can be rented, no restrictions.